When it comes to live entertainment and big-name acts, Wichita is the place to be. Check out the city’s music venues and some of the performers who often frequent the heart of the country. Located in the heart of downtown Wichita, this 15,000-seat venue is a state-of-the-art sports and entertainment center. It houses 40 suites, 40 loge boxes, 300 premium seats and is home to the largest concerts and sporting events in the region. With 65-foot ceilings, INTRUST Bank Arena has some of the best acoustics and sound system, creating a more intimate experience for guests and performers. Popular acts: Carrie Underwood, Brad Paisley, Paul McCartney, James Taylor, Elton John, Tim McGraw, Red Hot Chili Peppers, Motley Crue, The Eagles, Ariana Grande and Taylor Swift. INTRUST Bank Arena has a variety of upcoming events you can find on our calendar of events page. This 6,500-seat venue sits just off Interstate-135 and is perfect for medium-sized concerts or sporting events. It’s probably best-known for its up-and-coming artists, RV shows, gun shows and vintage markets. Popular acts: Good Charlotte, Rob Zombie, Alice Cooper, Boys Like Girls, Disturbed, Martina McBride, Cody Johnson, Dierks Bentley, Kansas, REO Speedwagon, Steve Miller Band and Dancing with the Stars Live. Hartman Arena offers several different kinds of events for all ages. WAVE is a social oasis and multimedia venue in Downtown Wichita. The perfect hybrid of a major event space and your favorite neighborhood bar, WAVE welcomes eclectic crowds of 500-3,300 people for concerts, yard games, and everyday relaxation in our indoor-outdoor space. Surrender to the all-season backyard vibes with live music, rotating food trucks, comfortable lounge areas, a fine selection of craft beers and delicious menu offerings from ADIÓS, the in-house nachoria. Come for a show, stay for the vibe. Popular acts: Abandon Kansas, Sullivan King, Read Southall, Cody Jinks, Lindi Ortega, Whitey Morgan and Big Head Todd & The Monsters. Whether you’re kicking back under a sunny sky or a full moon, WAVE’s atmosphere is unforgettable. Music has been the lifeblood of entertainment and nightlife in Wichita for decades and The Cotillion immortalizes the need through its history of diversity in performances. The venue opened on Dec. 7, 1960, with the Ted Weems Orchestra and holds an impressive resume when it comes to live acts. 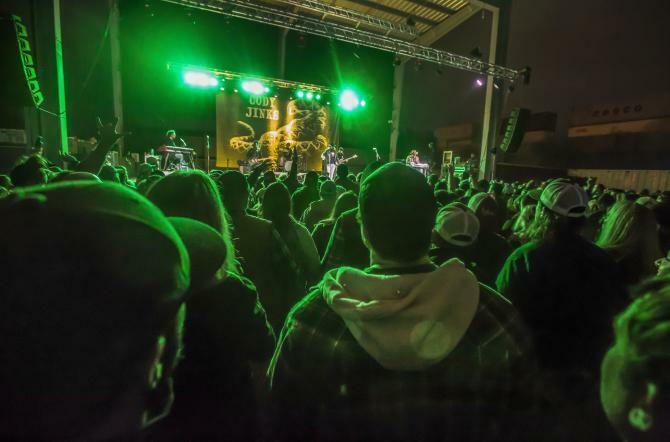 It also has plenty of meeting space in the 28,500-square-foot building with an 11,000-square-foot floating hardwood dance floor making it the most unique music venue in Wichita. 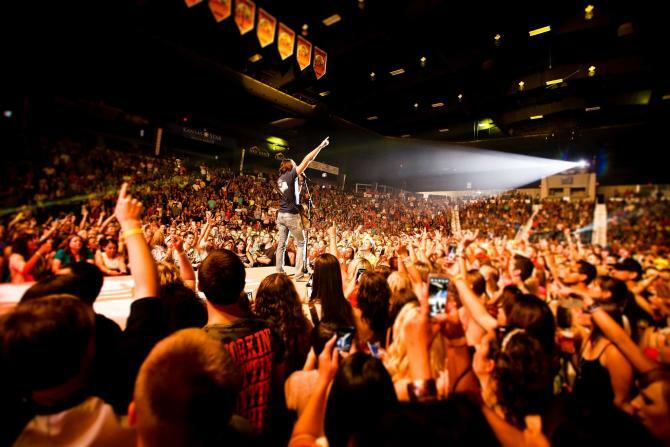 Live shows can accommodate up to 2,000 people. Popular acts: The Ramones, Stevie Ray Vaughn, Anthrax, Santana, Larry King, Blue Oyster Cult, Alice in Chains, Counting Crows, Green Day, Tim McGraw, Pauly Shore, Willie Nelson, Pat Benatar, Breaking Benjamin, All American Rejects, 311, Carlos Mencia, Disturbed, Mindless Self Indulgence, Jason Aldean, Eli Young Band, Cheech & Chong, A Day to Remember, Stone Sour, Cody Jinks, Casey Donahew Band, Josh Abbott Band, Aaron Lewis, Drowning Pool, Machine Gun Kelly and Theory of a Deadman. When it comes to rich history, no venue holds a candle to Wichita&apos;s Orpheum Theatre. It was the first atmospheric theatre in the country and the oldest still in operation. The Orpheum opened in 1922 after being designed by architect John Eberson and built for a stunning $750,000. Inside, the historic venue is decorated like a starlit Spanish courtyard and seats more than 1,200 people. Popular acts: Weird Al Yankovic, Gavin DeGraw, Melissa Etheridge, Bobby Bones and the Raging Idiots, William Shatner, Lauren Daigle and Lyle Lovett. 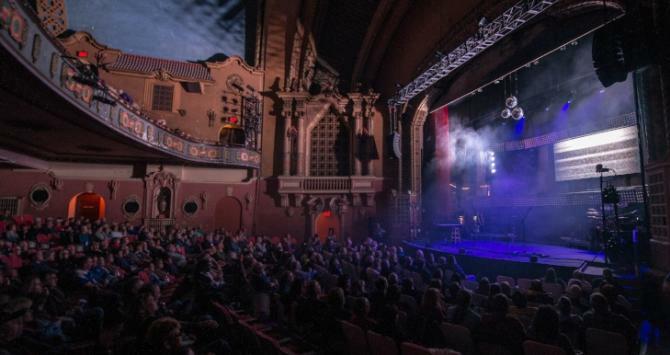 Wichita’s historic Orpheum Theatre showcases tons of events from comedians, live music and magic shows. For the longest time, the Crown Uptown Theatre was a staple in the Wichita community as a dinner theatre with live performances and delicious food, but it wasn&apos;t always used that way. 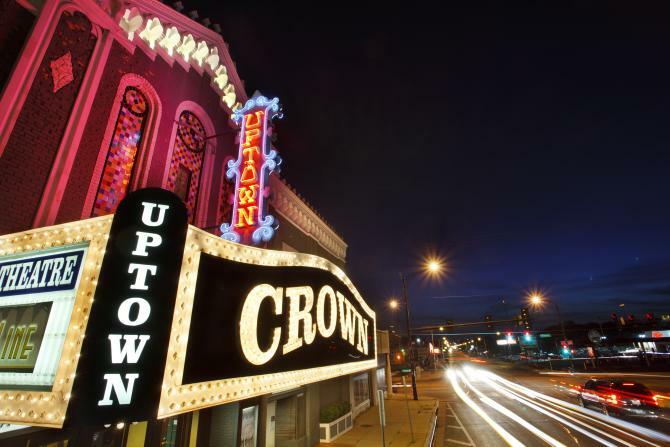 Like the Orpheum Theatre, the Crown Uptown is an atmospheric theatre. The ceiling is filled with tiny lights resembling a night sky. The transformer used to operate those lights is the original Lionel train transformer used in 1928, when the theatre opened. Crown Uptown Theatre doesn’t host a ton of public events, but the live entertain it brings in are unique and engaging. 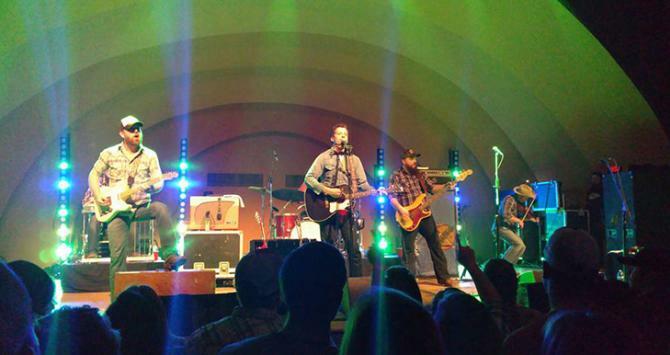 Wichita also offers many nightlife options with opportunities to catch live, local music or entertainment.